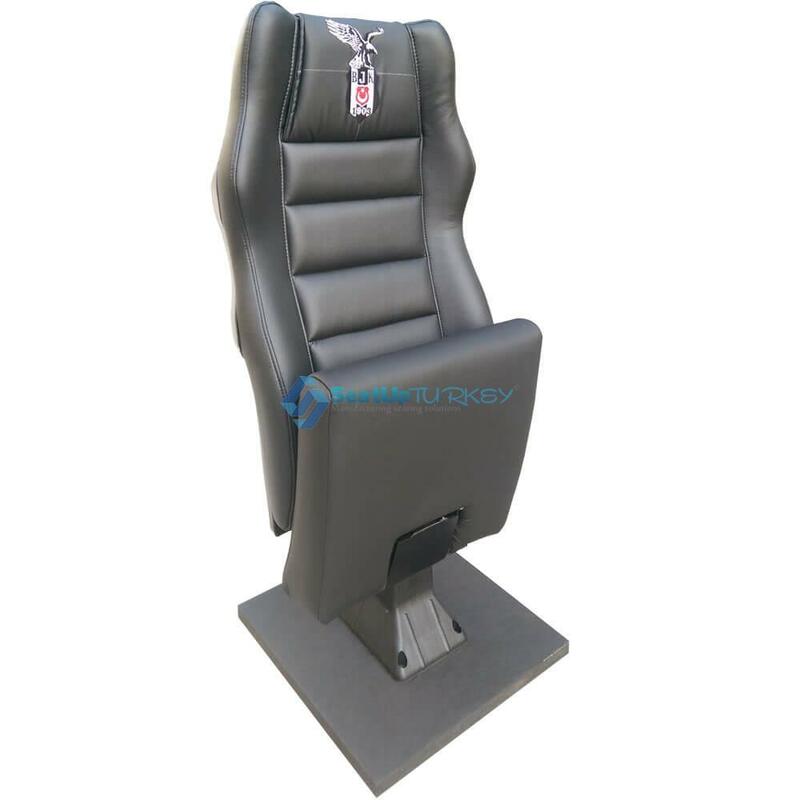 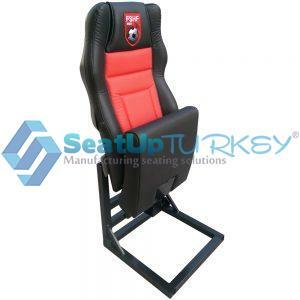 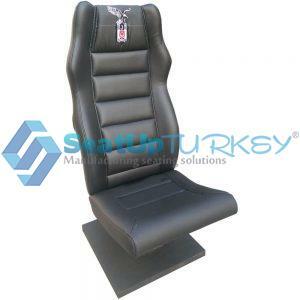 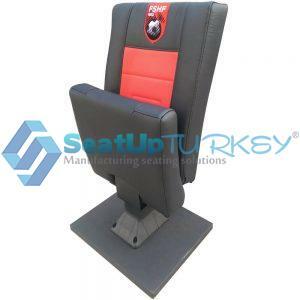 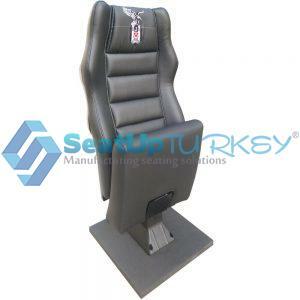 General Use: Vip Stadium player seat or sports salon. 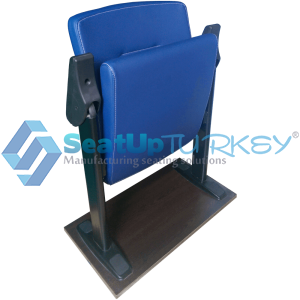 Leg: Metal base and hard thick polypropylene mono leg with 4 fixing points. 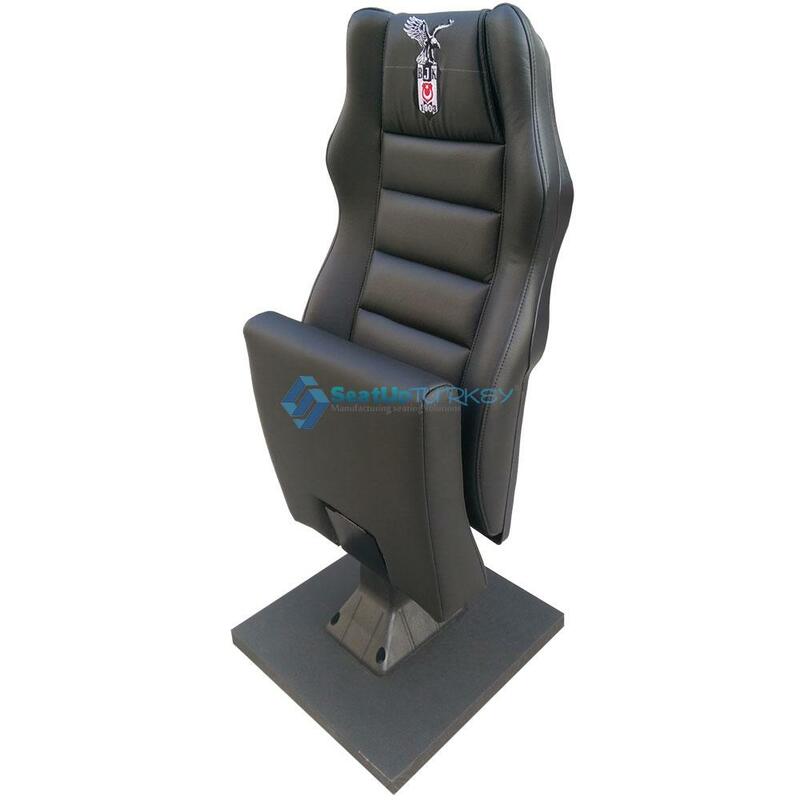 Armrest: No armrest or can be added. Chair back: Fixed back or rocker – upholstered. 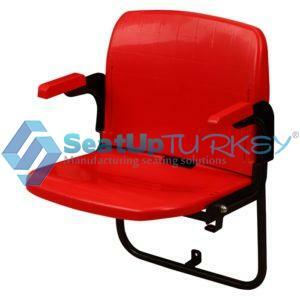 Dimensions: Width 54cm Height 100 cm Depth 50cm. Installation: In the leg 4 fixing screw points.